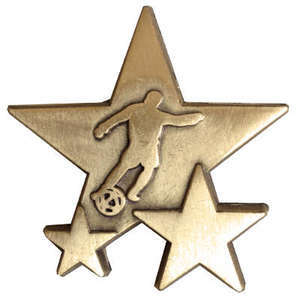 The UK’s largest supplier of school badges, The School Badge Store is your one-stop shop for all your school badge, lanyard and trophy needs. With thousands of durable, hardwearing and personalised school badges available in our range, we aim to dispatch on the same working day if you place your order by 1pm and your items are in stock. 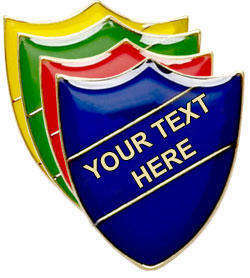 Our traditional shield school badges are available in four classic colours, with others available to order. 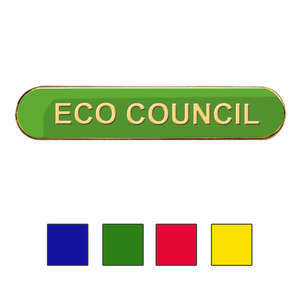 Measuring 30mm in diameter and crafted in solid brass with an enamel finish, these badges feature a locking safety pin and an epoxy coating for durability. Measuring 45mm in diameter, our school bar badges are available in a choice of four classic colours, with other colours available to order. Made from solid brass with a durable epoxy coating to the front for extra protection, they fasten with a secure locking safety pin to the rear. 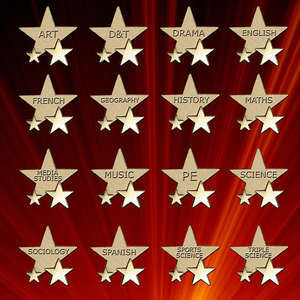 The ideal reward, our selection of star school badges are available in a choice of enamel finish colours, plus classic bronze, silver and gold. 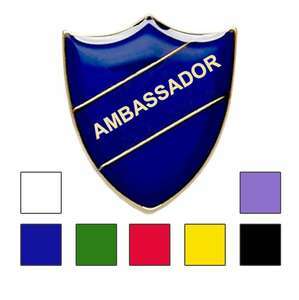 Our round school badges are available in a choice of colours and designs, from enamel finish block pastel and primary shades to 100% attendance school badges, They are the ideal way to reward a perfect attendance record or achievement. 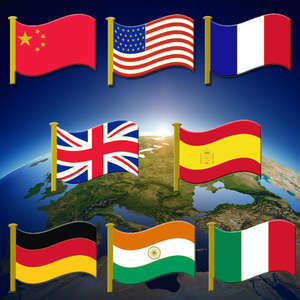 An alternative to our selection of classic bar, shield and round school badges, our flag badges are available in a choice of eight countries - the UK, USA, France, Germany, China, India, Italy and Spain. 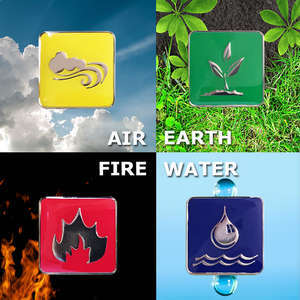 Our range of elements school badges include air, earth, fire and water. 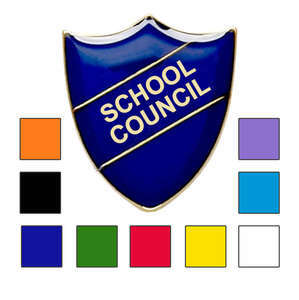 If our range of badges do not meet your requirements, you can create your own bespoke school badges, with a name, message or colour of your choice. Get in touch with any bespoke order requirements and our expert team will be more than happy to help. 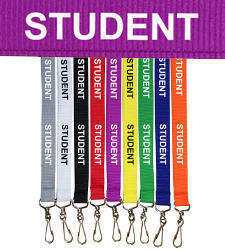 Easily identify who is who around your school or college with identification lanyards. Available in a selection of nine colours, all with a J-hook and safety fastening, you can choose your lettering, from student, security, staff, teacher and visitor to first aider, governor and VIP. Choose from our selection of school medals, trophies and awards to reward academic or sporting achievements and add the personal touch with personalised school pencils in a choice of colours, embossed with the lettering of your choice. Either order online or over the phone and choose from a variety of payment options from school purchase order, debit card, credit card and Paypal. Simply choose your preferred payment method when you order.